Say goodbye to clunky cables and power up your phone and Apple Watch all at the same time with this sleek space-saving dual fast wireless charger, giving you a compact charging solution for your device needs. The search for multiple cables, power points and ports is over. 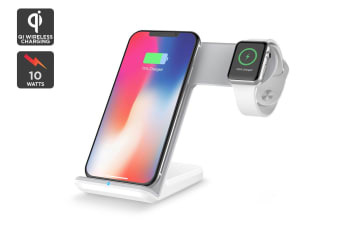 Reduce desk and nightstand clutter with this 2-in-1 charger, featuring both dual central charging coils for your smartphone and a magnetic charging module to hang and charge your Apple Watch. When it’s time to power up, just lay your Qi compatible phone and Apple Watch on the Kogan Dual Fast Wireless Qi Charger pad and go! With up to 10W of wireless fast charge, get a quick battery boost for your phone before you leave home or the office and cure your low battery woes. Don’t let charge time stop you from browsing and scrolling. 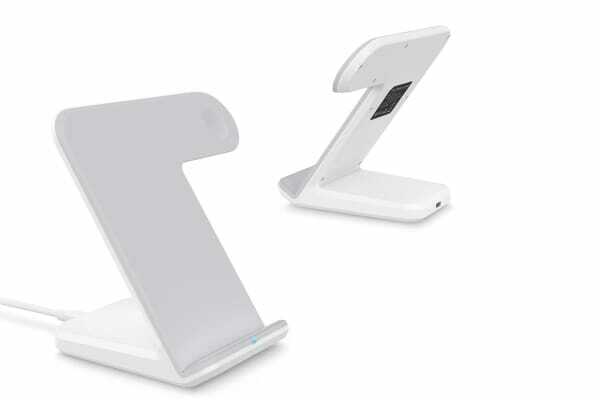 Thanks to the Kogan Dual Fast Wireless Qi Charger stand, you can keep your phone upright on your desk or table in either landscape or portrait mode. No need to worry about annoying cable tightening! *Wireless Fast Charging is not available on all phones. Please check if your smartphone is equipped with a fast charging feature. An additional Fast Charge adaptor may be required for some models. 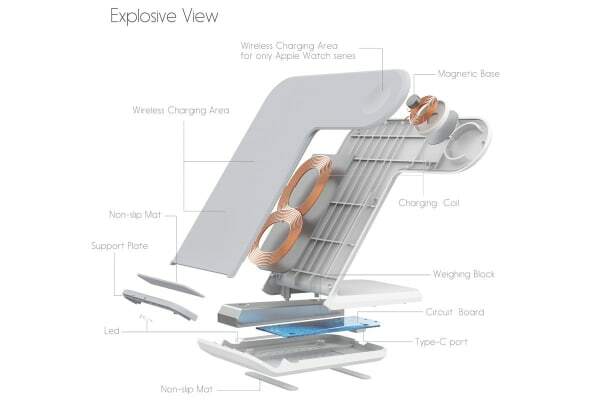 **Supports Apple Watch Series 1-4.